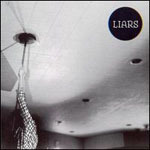 In her review of Liars’ new LP, AMG’s Heather Phares recounts that “at the time of [WIXIW‘s] release…Liars sometimes felt like the American-Australian equivalent to Thom Yorke and company in their willingess to defy boundaries and expectations.” In my recent experience, she’s only the last in a long line of critics to use WIXIW as an opportunity for solidifying a long-gestating comparison between the two bands, both of which also happened to share stages on Radiohead’s 2008 US tour. Since that long line now culminates in me, I’m going to be picky; I have to address a few qualms. First, what does it mean in this day and age to be compared to Radiohead? We’re talking about a band that was described with meaninglessly grandiose and ultimately insulting phrases like “a standard of innovation” more than a decade ago. Even then, their success had seemed to come at the cost of assuming a dehumanizing godhead, never to survive the status quo’s scrutiny long enough to maintain its approval. Nothing against Radiohead, whom I certainly enjoy quite a bit and whom I believe have navigated their difficult terrain with grace—but everything against the heavily mechanized idea that creative innovation has anything to do with standards. What specifically bugs me is that these comparisons seem to be unaware of what is, to me, an insinuation that Liars face the similar fate of being caught in the same shrinking cage that made Radiohead’s reputation a critical burden instead of a blessing. For the sake of civility, I’d like to think it’s just carelessness. Either way, Liars are going to have no problem watching their backs over the trailing throngs of admirers, as the crest of the WIXIW wave finds them riding high on a critical roar that almost seeks to engulf them. Then again, when I take the time to look at how they’ve come to where they are, and to think about what WIXIW says about that journey, I realize that they’ve got little to worry, and every reason to forget, about what’s going on with anyone else’s standards. Liars met with insane acclaim the moment they hit the New York no-wave/electroclash scene, had their Kid A (2000) phase out of the way by second effort They Were Wrong So We Drowned (2004), a palette-cleansing affair which situated the band’s current and long-running lineup and attempted to incorporate elements of experimental music with which many of the band’s frothing new fans weren’t at all comfortable. In short, it was downright loathed (I loved it and still do), but it should already be apparent that we’re dealing with a band not only lucky enough to exist outside the capitulating mainstream music industry, but talented enough to set themselves apart from the endless rabble that populate their preferred subterranean networks. Radiohead can only dream of having it so good. 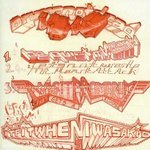 Materializing almost out of thin air with little in the way of promotional hype, WIXIW comes as a pleasant surprise and a bit of a welcome departure from the string of rock-oriented records the band has released in the last while. But the strangest part of my adulation of the new, self-professed “electronic” record is that it puts the recent ones that I didn’t react quite so strongly toward into a new and at least more symbolically satisfying light. 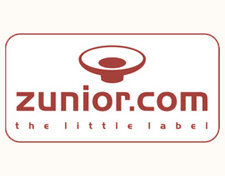 What I’ve been hearing the most about WIXIW is how much it reminds fellow listeners of critical favorite Drum’s Not Dead (2006), and in doing so likewise garners a bit more curiosity than I can say I found surrounding both 2007’s self-titled outing and 2010’s Sisterworld, which seemed to me at the time like the band’s good if not great nostalgic exercises to remind themselves of their basic technical abilities outside the realm of heady experimentation. That playful spirit was always as important to me as the band’s inherent songwriting abilities, and at the time I mourned it’s temporary stint on the backburner. Now I realize that those records stand as pretty solid evidence for Liars’ wildly personalized, truly unpredictable navigation system, which finds the band meandering down self-obsessed tangents just as often as rifling hungrily through styles and aesthetics. If this was a bigger industry machine, Liars may have already found themselves completing a thoroughly draining cycle of neutered iconoclasm and artistic evolution as dictated by the mathematics of pop culture analysis, but in a time when artists are finding more success shaking off the shackles of outside intervention, Liars have all the time in the world to make good on their own considerations. In that, WIXIW is a compelling victory for the band, and a great addition to their stunning oeuvre. 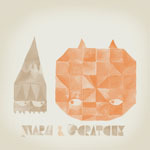 Immediately, WIXIW presents itself most obviously as a shift toward electronic percussion in particular, but never overlooks the importance of the clattering imperfections that live performance and recording inject between the record’s parade of mutated sequences, sticky samples, clanging loops, and heavy synth chords. Angus Andrew’s deep, religious moan buoys much of the music, as always, and his vocal rituals even seem to take on new shades of both menace and tenderness under the crescendos of electronic texture. “A Ring On Every Finger” combines the lurching swing of “Houseclouds” and the midnight tribal singalong of “It Fit When I Was a Kid” to create a wonderfully gooey and unkempt nursery rhyme dance of death. Single “No. 1 Against the Rush” actually looks romantically toward the horizon like David Sylvian having a flashback to Kraftwerk’s Autobahn (1974), loops of electronic xylophone skittering by like light posts. “Ill Valley Prodigies” revisits the falsetto drone of Drum’s Not Dead while crunching percussion marches solemnly in the misty distance, and “Brats” is the fuzzy, rave-ready disco rocker that Thomas Fehlmann and Damon Albarn never wrote. Certainly, tracks like “His and Mine Sensations” justify the Radiohead comparisons on the surface, but considering Liars’ long-running history of confidently transforming many of those comparable sounds, it should be just as warranted to reverse the comparison. I could go on and on about the angles, evocations, and techniques that proliferate within WIXIW’s membranes in an attempt to describe for the sake of appeal, but at this point, my best advice would be to jump on board and see if it tickles your fancy. 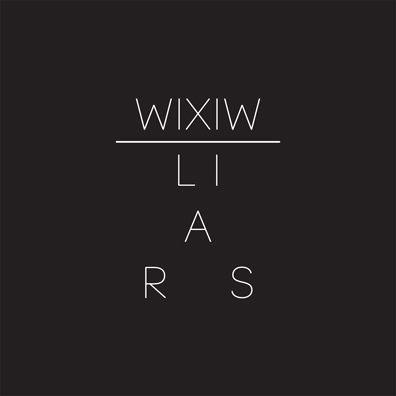 There’s lots to love about WIXIW, but it is all so much the band’s own creation that anything less than experience falls severely short of capturing it. Such is the nature of a freed beast. As I’ve found new appreciation for what feels to me like misfit records in the band’s catalog, I’ve found new validation for some of my own outsider treasures as well. 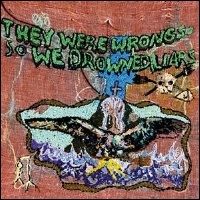 WIXIW actually reminds me a lot of They Were Wrong So We Drowned, a record that opened me up to a wealth of strange, deeply personal music. Even then I loved that everyone absolutely despised the record, or at least felt the need to let the world know that they just didn’t get it. There was everything that I knew I loved about Liars before they’d even let it loose. I heard their excitement in those songs, their ecstatic spelunking through places that really only existed in their own minds. How could someone not want to follow? So in all fairness, it only makes sense that you’re going to hit spots on their trail that you can’t quite make out through the gaudy-colored fog, or that you close your eyes when it gets overwhelming or boring, or that you might have to stop and eat a peanut butter sandwich because, hell, you’re just kind of tired of the whole creative spelunking thing for a few. But in a day when it’s more likely for a young band to feel the need to arrive at their final destination as soon as possible, Liars win repeated victories for those who know that the trip is just as important.